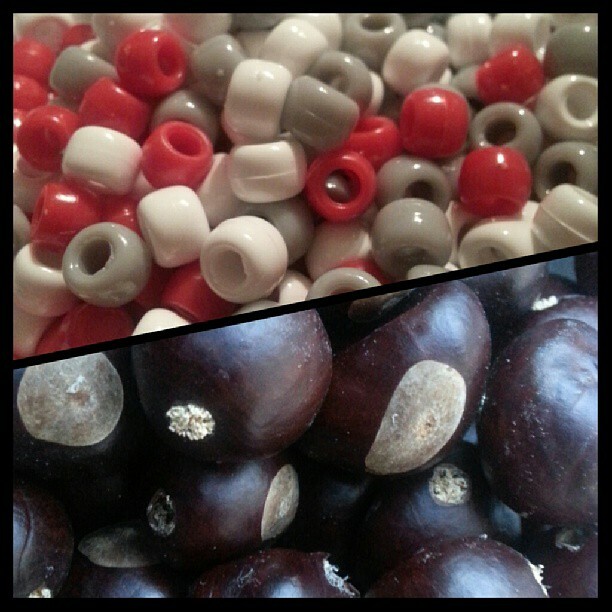 I spent about five hours yesterday baking, polishing, and organizing everything for Buckeye necklaces. We are making some on Good Day Columbus on Friday. In the evening, I went to the pool with Dawn and we just dangled our feet in the pool. Our hot water heater is out so we didn't want to have to rinse off in the cold water. 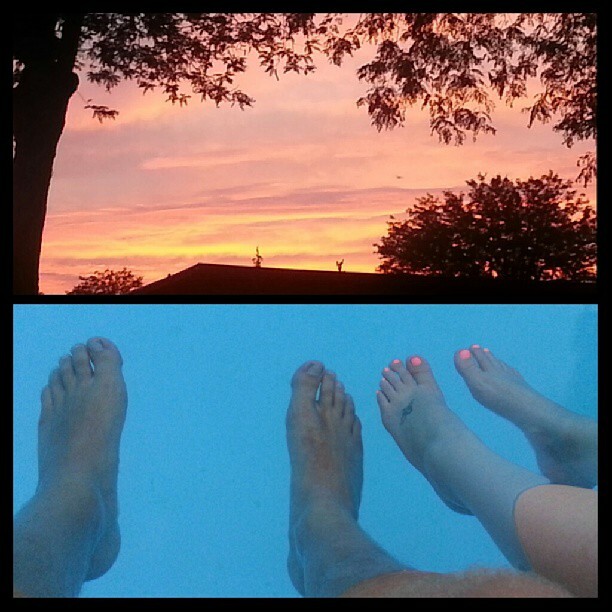 Dawn's toes matched the sunset while we were there. Today will not be the best pool day because there is a slight risk for severe storms later today. 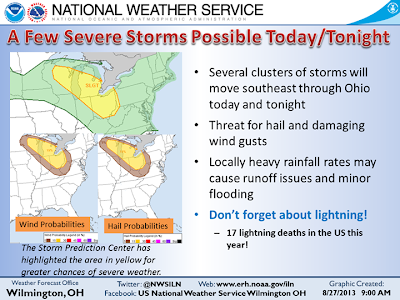 The National Weather Service office in Wilmington made this graphic and you can see that the main threat for the storms will be strong winds and hail for today. There are a few showers trying to push down from Michigan and if they stick around then it will help stabilize the atmosphere and cut down on the chance for severe storms. Regardless, stay alert later today for strong storms. They will be isolated, so not everyone will be seeing the rain. Tomorrow more steadier and a little more widespread, but still only a 70% chance for rain. We dry out and stay hot heading into the end of the week. There is a 20% chance for rain this weekend, each day, so keep that in mind for your Labor Day plans. 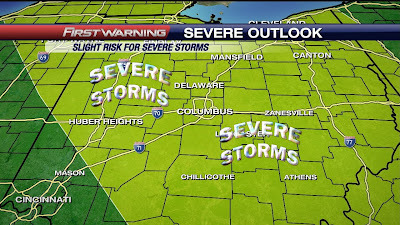 I will be updating the holiday weekend forecast as it gets closer. Stay alert today and have a good one!